I purchased this postmark in red for the postmaster at the Knightsen, CA post office (94548). He had submitted a request for such a postmark through normal USPS procurement channels. However, his request was \"not approved\" for the reason that the Knightsen post office was \"too small to warrant an additional canceller\". When I handed him the new postmark and he tried it, he was grinning from ear to ear. It made a very sharp and clear impression. 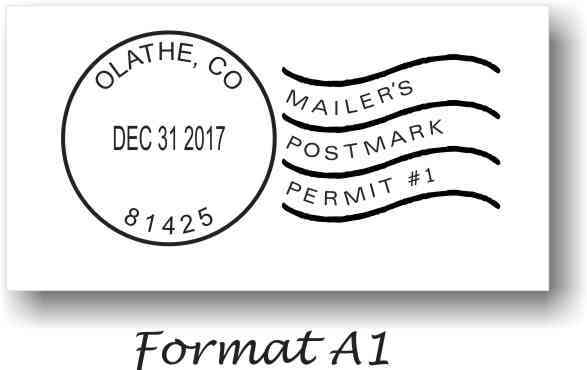 This postmark will be used when patrons request a local postmark on holiday greeting cards, valentines cards or simply by request.